The President’s doings are being broadly criticized, especially by lefties, much of whose commentary is dominating the 24 hr news channels. I am also seeing many Facebook posts, tweets, and appearances on late shows (such as Fallon and Colbert). The President’s perceived shortcomings seems to be all anyone can talk about, which is a shame when you recall that ISIS is still conquering, Syrians are still massacring each other, Planned Parenthood kills new victims daily, and the Iran Nuclear Agreement is still a thing. President Trump is not a partisan ideological conservative, but he is an experienced business man. Also, he has one of the most finely tuned BS detectors on the planet, especially when incomes from his detractors. I have read a few notes on Facebook about how Jesus would be for Obamacare, welfare, open borders, marriage equality and the like. According to some, Jesus would vote for Bernie Sanders. They argue that Socialism is the only economic system which comports with a christian worldview. If that is true, then I am monster of the highest order, because I busy mys of with building profitable businesse, and giving as little back to the government in the form of taxes as I can legally get away with. If Jesus is a Socialist, then I have been blinded to His true gospel for more than 15 years. That would be doubly embarrassing since I earned a degree in pastoral studies. In fact, I may have to doubt my very salvation. Now, some of you may roll your eyes, imagining that I am exaggerating. “Oh, Dan,” you may think, “aren’t you being just a little too melodramatic.” And my response is, not at all. I take God’s word (that’s the Bible for those of you keeping score) seriously. And God’s Word (*nods to the score keepers, that’s Jesus) commanded His sheep to give to the poor, feed the hungry, care for the sick… that kind of thing. Maybe the best way to accomplish all of that is a system of economics, under-girded by government policies, which guarantees income equality, free access to doctors and medicine, and a “middle class” lifestyle for all. 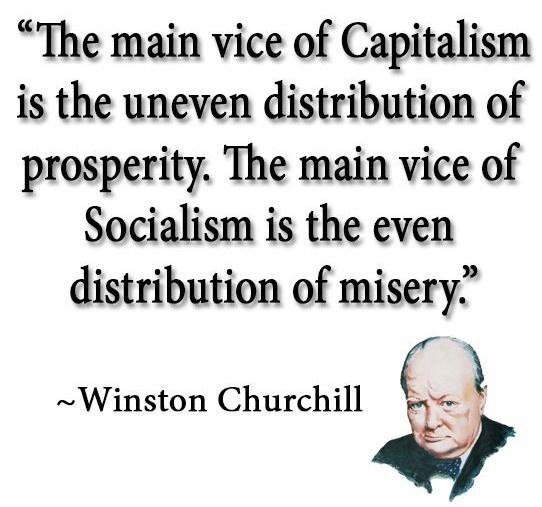 Call it Socialism or income redistribution, for those followers of Jesus who believe that way, its simply called the Gospel. My faith, it seems, is perilously perched upon a razor’s edge, which would result in my shame and dismay, were it not for one comforting fact. That fact is the millions of conservative evangelicals who think and vote like me. And, herein lies the rub. Why do committed followers of Jesus, mostly self identifying as Evangelicals, vote along Moral Majority lines? (Ie Republicans). Did those mean, nasty, heartless conservatives co-opt America’s right leaning Christians, to consolidate political power and exploit the well meaning faith of those foolish enough to be snookered? Did they pull the greatest bait-and-switch, since the garden of Eden? Did they distract us with anti- entitlements blather and American exceptionalist bluster, thereby subverting the essence of the Gospel? Some say that is exactly what happned. They say the church started loving power, position, and comfort more than the true gospel, and the Republican party was all to happy to fill our itching ears with political promises. Maybe. I would be getting nervous were it not for another fact, which makes me more comfortable with my political leanings and economic philosophies (and I am hesitant to say this as it is not terribly charitable, but it is true all the same) is the lifestyles and moral choices of the American Left. How can liberals, many of them godless atheists, dare to use our religious language to attempt to guilt the Right into doing it their way. Because they think it will work. Seems pretty shameless to me. How can people who claim to be so committed to the good of the poor be so lazy, shiftless, distracted and unemployed? Because nobody they respect holds their entitled little feet to the hypocrite’s fire. How can those who claim, like Jesus, to be for the welfare of little children, also be for abortion? Why is it that those liberal Americans who claim to be against global poverty have never been on a mission trip? How can those who clamor for free healthcare also spend billions on recreational psycho-active drugs? Obviously I am painting with a pretty broad brush, for which I apologize. And, those descriptions will not all apply to all liberals. But, I am stuck with the palette I’ve been given, and these colors were not chosen by me. I’m working with the swatches they’ve given me. My brush strokes simply what I’ve observed among my peers. Now, to my liberal friends and readers, if I have not disqualified myself, I will attempt to lay out a 6 point treatise on the cross section of Christian morality and anti-socialism. In a later article, I will analyze selected quotes from Bernie Sanders, scrutinizing them, in context, through the lens of biblical morality. To you my dear liberal Christians, I will hold out the charity of Jesus, as I lay out my arguments, and I ask that you judge them based on the criteria of the scriptures. Please apply your own reason, open mindedness, and judge them on their merits. These are just principals, and they should not be construed so as to apply to all cases at all times. The real problem is, the Christian faith has so many facets that it is easy to focus on this or that issue, while neglecting others. Holding some up as more important than others is just what I would like to avoid. Still, the ones I have chosen to touch on here are pertinent to this conversation. So, we have to take them as they come to us, not as we wish them to be. I believe in open dialogue. In the words of failed democratic candidate for president, Bernie Sanders, “I believe from the bottom of my heart that it is vitally important for those of us who hold different views to be able to engage in a civil discourse.” If, I am wrong, or misguided, I invite your thoughtful, winsome responses, so that I may be guided to the the truth. If you find my points persuasive and biblical, I invite you to abandon your former error and embrace Truth. I am not above being corrected when I have gone wrong, nor should anyone else be. Don’t go in to debt or borrow. It is well known that the Law, Prophets, and Jesus exhorted believers to take special care of the vulnerable. What may be less known, and is certainly under taught in our churches, is that the Bible makes it clear that debt and credit are not to be among God’s people. If debt and lending practices were the only rubric by which to measure Christian morality, then our nation could not in anyway be associated with Christ. We are the worst. What’s even more troubling is that our pulpit preachers are virtually silent on the issue. That being said, over and over the scriptures counsel us to stay out of debt. “Proverbs 22:7 The rich rules over the poor, And the borrower becomes the lender’s slave.” Now, since the Bible adjures us to stay out of debt, should we, as a nation, really be borrowing such heavy amounts? According to the Center on Budget and Policy Priorities we have to raise $229 Billion just to pay our interest on our debt. We owe 13 trillion dollars. See the breakdown of how that money is sent here. Does this seem like a wise course? Does this seem like a way to please God? Can we borrow from godless communists to pay welfare, food stamps, medicaid, etc, and simultaneously hold our heads up to God expecting his favor? Methinks not. A free ride undermines the “Poor in spirit” Jesus famously proclaimed that, “Blessed are the poor in spirit.” Spiritual poverty is a state which any human can enter into, regardless of what they have in the bank. It means to be awakened to the reality that spiritually speaking we have nothing to offer God. We must approach God with empty hands, unable to lay anything of value at His feet, because we do not possess anything in our natural man He would find acceptable. But, how does this intersect with our discussion? You may have heard of an “entitlement” mindset some people receiving Gov’t benefits often display. Having an entitlement mentality, which says, “I deserve this or that, so make sure I get it”, has no place among those who would be counted as the “poor in spirit”. How many of those receiving a free ride, in the form of U.S. Treasury check or SNAP card, from a nameless faceless bureaucrat, humbling turn their gaze heavenward in thankful repose to Almighty God? Or, is it much more likely that they begrudgingly cash the thing, wishing it were for a larger amount, while cursing their “damned bad luck”? It is difficult to be poor in spirit, when democrats and socialists are constantly ginning up your natural proclivity to class envy. God prefers that you “work with your hands, that which is good, so that you may have something to give to him who is needy.” Needy exclusively referred to an aged widow with no family to help her, a true orphan too young to work, and the severely crippled living off the largess of his neighbors.” Needy is not an able bodied, unemployed person. Income Redistribution robs the “giver” of his ability to love the poor In a normal charity situation, the giver reaches into his pocket out of the goodness of his heart, in compassionate response to a known need. It is un-coerced, often spontaneous, generosity. In many cases the giver can look, with the loving regard, into the recipients eyes. In return, the recipient, unashamed and full of gratitude knows that the giver loves him. This is what Jesus experienced, and recommended, every time He did a loving act among the poor and vulnerable. It was personal, and that made it powerful. When the gov’t takes your money, and hands it to whosoever they see fit, that is not charity. It is not personal. It is not done from a generous or loving or compassionate heart, and therefore cannot be what Jesus had in mind. Taking from me, in the form of taxes, to give to someone I do not choose, care for, or even know is robbing me of the chance to do real charity from a real heart of love and compassion. It robs me of the chance to choose the person or need, and, independent from any say on my part, arbitrarily chooses what amount I must proffer. I am left with less of my own money to give to my church, charity of choice, or unexpected need one of my neighbors may stumble upon. The Good Samaritan, perhaps the seminal example of goodwill toward men, did his act in person, upon seeing a wounded person in need of care, out of regard for God and compassion on His creation. This is truly charity. Income redistribution has merely co-opted the language of charity, to try to shame Christians into going along with it quietly.